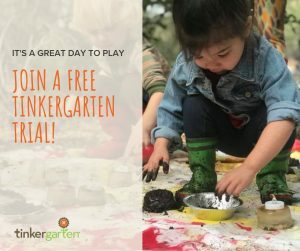 Tinkergarten is an outdoor learning program for kids ages 1-8. Tinkergarten is a research-based program designed to help kids develop and get ready for school and life through outdoor, play-based learning activities. Classes are adult-child, play-based, and all outdoors. To the kids, it’s a chance to connect with nature, wonder and solve problems, move their bodies, make friends and have fun. For adults, it’s a chance to connect with like-minded parents and learn creative and effective ways to play and learn with our kids. Classes are offered in Chosewood Park, Grant Park, Kirkwood, Decatur and other parks around the city and suburbs. Come play with us! Free trial classes offered.